Ms. Childress is the managing attorney and founder of the Childress Firm PLLC, an employment law firm based in Washington, D.C. Ms. Childress holds a Bachelor of Arts in Government and African American Studies from the University of Virginia and a Juris Doctor from the University of Virginia School of Law. Ms. Childress graduated Phi Beta Kappa and with High Distinction from the University of Virginia in 2007. After law school, Ms. Childress served as a federal judicial law clerk for the Honorable Alexander Williams, Jr. in the United States District Court for the District of Maryland. Ms. Childress has served as an associate at two global law firms and as an attorney for the United States Department of Justice. Ms. Childress represents clients in all aspects of employment law. Ms. Childress has litigated retaliation, discrimination, sexual harassment, non-competition, trade secret, unfair labor practice, and whistleblower cases before various tribunals. She serves clients in general business transactions with employees and independent contractors. Ms. Childress drafts agreements such as employment agreements, consulting agreements, termination agreements, and confidentiality agreements. She also routinely reviews employment handbooks and employee policies for compliance with federal, state, and local law. While in law school, Ms. Childress was an editorial board member for the Virginia Journal of Social Policy and the Law. She was also an executive board member of the Student Bar Association. Additionally, while in law school, she served as a legal intern in the United States Attorney’s Office for the Eastern District of Virginia. She is an alumnus of the National Trial Advocacy College. Ms. Childress is admitted to practice in Virginia, Maryland, the District of Columbia and before the Supreme Court of the United States, United States Court of Appeals for the Fourth Circuit, the United States District Court for the District of Maryland, the United States District Court for the Eastern District of Virginia, and the United States District Court for the Western District of Virginia. 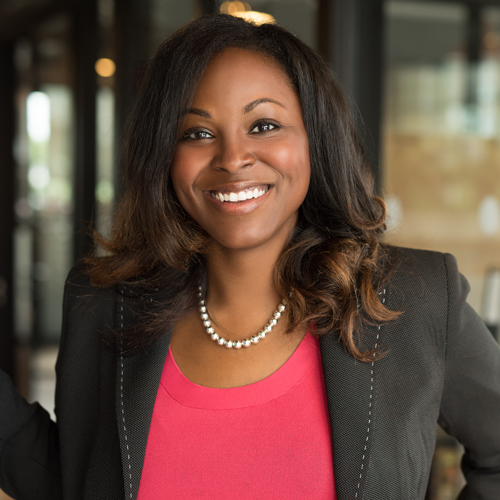 Ms. Childress has held leadership roles in the National Bar Association’s Young Lawyers Division and the Washington Bar Association’s Young Lawyers Division. She has been the recipient of several honors, including the National Bar Association’s 2018 Young Lawyer of the Year Award, the Washington Bar Association’s 2017-2018 Young Lawyer of the Year Award, the National Bar Association’s 40 under 40 Best Advocates Award, the Kim Keenan Leadership & Advocacy Award, the Greater Washington Area Chapter of the National Bar Association’s Rising Star Award, and recognition by the National Black Lawyers as one of the top 100 black attorneys. Ms. Childress has been featured in numerous publications, including Forbes, Essence, the Huffington Post, Success, and Entrepreneur.